4me Connect is an annual event for the entire 4me community. This inspirational conference will feature a Training Day on May 14 and the Main Conference on May 15. 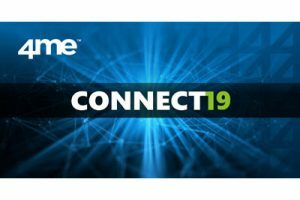 According to tradition, 4me organizes this annual 4me Connect 2019, for the entire 4me community: customers, prospects and partners. On this occasion, 4me, always on the move, chooses the impressive steamship SS Rotterdam as the place to be. As 4me partner, 2Grips is proud to be part of the steadily growing community of 4me users. During the event we will learn about the more advanced ways in which 4me is used to add value, so we can use this knowledge to support our 4me customers even better. Both customers and partners can learn from each other’s experiences. The main conference will packed full of the latest industry trends as well as experts discussing current development in the service management space. Below you can find an overview of the topics that will be covered. Tickets can be purchased at reduced pricing by sending an email at info@2grips.com.